At least 30 percent of Montserrat’s residents never walked in the streets of the former capital Plymouth. This is also true for most of the team behind a new tech startup who want to bring the city back to life virtually. 4th Dymension is another initiative led by Dr Samuel Joseph, who was part of the island’s first software development company Lavabits when it was launched in 2010. 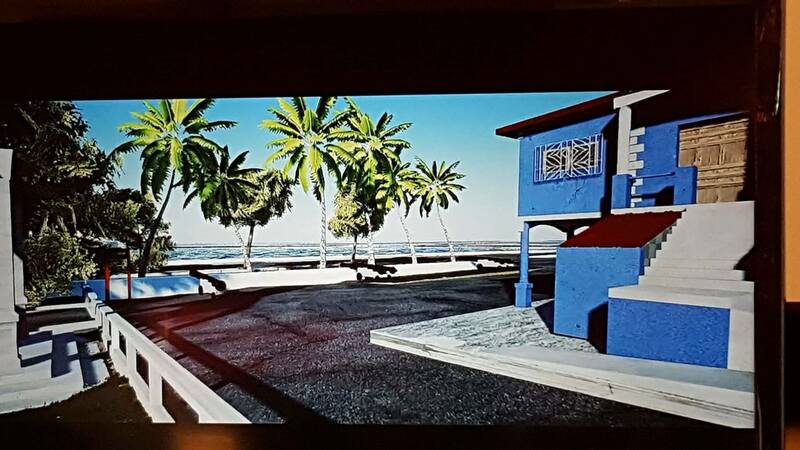 Joseph has brought together Jhovan Daniel, Jerely Browne, Dexter Small, Carlon Braithwaite to work on the project which is creating a 3D version of the city now buried under trillions of tons of ash and debris from the Soufriere Hills Volcano. Daniel, who teaches at the Montserrat Secondary School was born in 1994 and is the eldest on the team. He does not have many memories of Plymouth and thought it was important to show the younger generation what the city, which is still a major part of Montserrat’s story, was like. Using old photos and stories from older residents, the team wants to bring the city back to life so that it can be used in a myriad of ways.Â They are building on the road and geographical network provided by the Government of Montserrat’sÂ The Land and Survey and GIS departments. Videographer Jerely Browne is the environmental artist for 4th Dymension. The potential for the finished work is limitless he said. They want to see it become a virtual reality experience that can be offered to visitors who come to the island. Browne also seems himself using the virtual city in future films. The public had the chance to speak with the techpreneurs and watch the introductory video on the project during the recent ICT Week, sponsored by the Ministry of Communications and Works. They are still in need of more photos for the project. If dates can be added so they are able to see the photos in the context of time, it would be helpful. Send photos to: info@4thdymension.com.